Our society increasingly depends on networked information systems, either explicitly, or invisibly, via networked embedded systems. The correct and efficient operation of these systems in terms of their performance and dependability (including security, safety and reliability) is increasingly recognized as the central challenge in systems research. To advance the field, integrate theory and practice, and to exchange ideas and experiences, DCCS brings together academic and industrial researchers in dependable software and hardware architectures, intrusion detection and tolerance, distributed systems and algorithms, self-* systems, and dependable (dynamic) information networks and infrastructures. Manuscripts in the following categories will be refereed and considered for publication in the IEEE Proceedings of the 2006 International Conference on Dependable Systems and Networks (submissions that exceed the page limit, unoriginal work, or work that is submitted to multiple venues will be disregarded). The title page should include the title of the paper, author names, affiliations, mailing address, phone/fax numbers, and email address, a maximum 150-word abstract, five keywords, the submission category (see above), an approximate word count, and a declaration that the material has been cleared through the author affiliations. For multi-authored submissions, the contact author should be indicated. The format of submissions for review should be single-column, Times or Times Roman 11-point size, double-spaced. Pages should be numbered. 4 pages (equivalent to 2 IEEE conference pages) plus biographical sketch, for Panel Proposals. The format for final, camera-ready submissions that have been accepted for publication should be in accordance with IEEE standard conference paper format. Submit all materials through the DCCS submission page as Portable Document Format (.pdf) files. Please preview the manuscript in a viewer such as Acrobat to ensure its integrity before submitting it. Make sure you visually check uncommon fonts, symbols, equations, etc. A defective print can undermine your chances of success. For those who are unable to submit materials electronically or cannot generate .pdf files, please contact the program chairs for special instructions. The William C. Carter Award is presented annually since 1997 to recognize an individual who has made a significant contribution to the field of dependable computing through his or her graduate dissertation research. The award honors the late William C. Carter, a key figure in the formation and development of the field of dependable computing. The award is sponsored by IEEE Technical Committee on Fault-Tolerant Computing (TC-FTC) and IFIP Working Group on Dependable Computing and Fault Tolerance (WG 10.4). 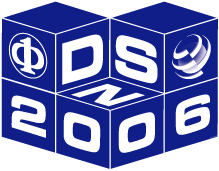 To qualify, a paper based on the student's dissertation must have been submitted to the DCC Symposium within DSN as a regular paper with the student as the first author. Both current and former graduate students, no more than two years past completion of their dissertations, are eligible. The nomination form that should be submitted by a dissertation advisor wishing to nominate a student will be shortly made available for download. All Carter Award submissions accepted as regular papers to the DCC Symposium are evaluated by the Steering Committee of the Conference.